Guest blogger Jaillan Yehia - travel writer, holiday expert and owner of Savoir There - falls in love with the bicycle all over again after a dreamy ride in laid-back Laos. There’s something about travel that unlocks your imagination, releases your inner child and makes you feel that anything is possible. 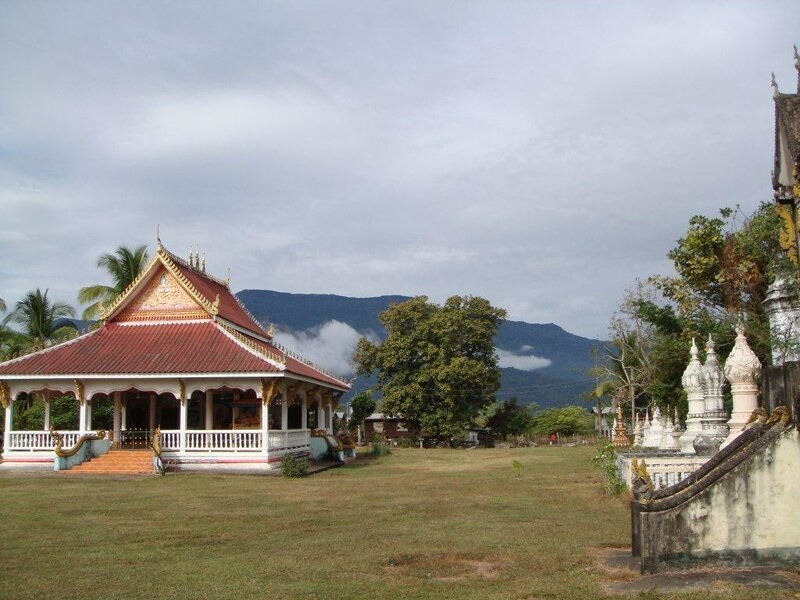 If you want to learn to ride a bicycle - either for the first time or all over again - the serene and stunning surroundings of Laos are the perfect place to embrace the ‘two-wheels good’ philosophy. 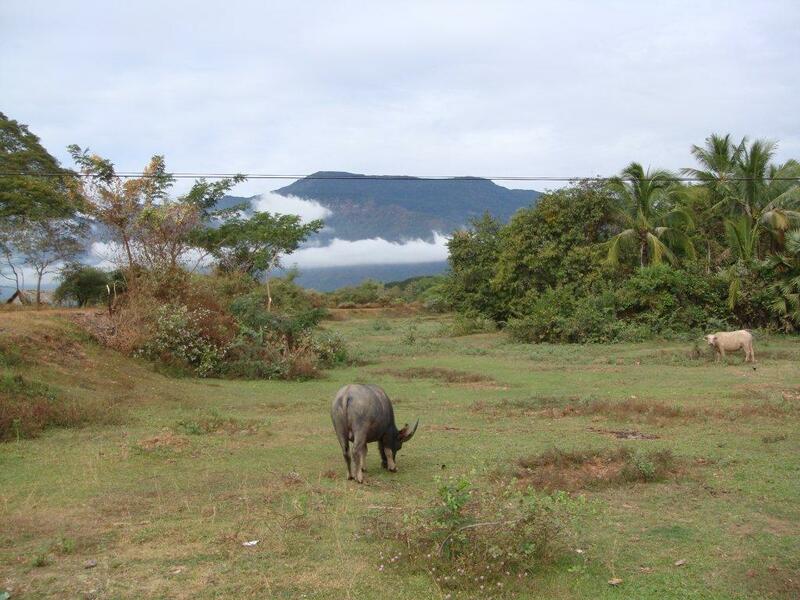 I’d arrived in Laos via the mighty Mekong River, as a passenger on a suspiciously rickety boat along with my boyfriend, a cockroach, and an old lady eating edamame beans, which she silently offered to share with me by way of a proffered hand and a toothless grin. After two weeks in South-East Asia I was already on board with alternative transport options and leaving my comfort zone (which unsurprisingly doesn’t include roaches or drowning), and just as well, as I was about to get back in the saddle for the first time in a decade, and reignite my love of bicycle travel. I’d been avoiding two-wheeled vehicles ever since a scary moment involving a moped and the edge of a cliff, which had dented my confidence just as much as it had my bike. There’s no way I would have overcome my fears in frenetic London, where our half-hearted bicycle lanes are just as likely to lead you into the back of a parked car as they are to steer you away from aggressive traffic. Yet in the charming surroundings of rural South-East Asia it was easy to harness that “give it a go” feeling that we all experience while in far flung and exotic places, and effortlessly do something I’d been putting off back home for years. After disembarking the boat, we’d flagged down as unique a taxi as I’d ever seen - a motorbike which sported a home-made looking sidecar for passengers - and been delivered to our home for the next few nights, a stunning boutique hotel in the faded colonial town of Pakse, southern Laos. 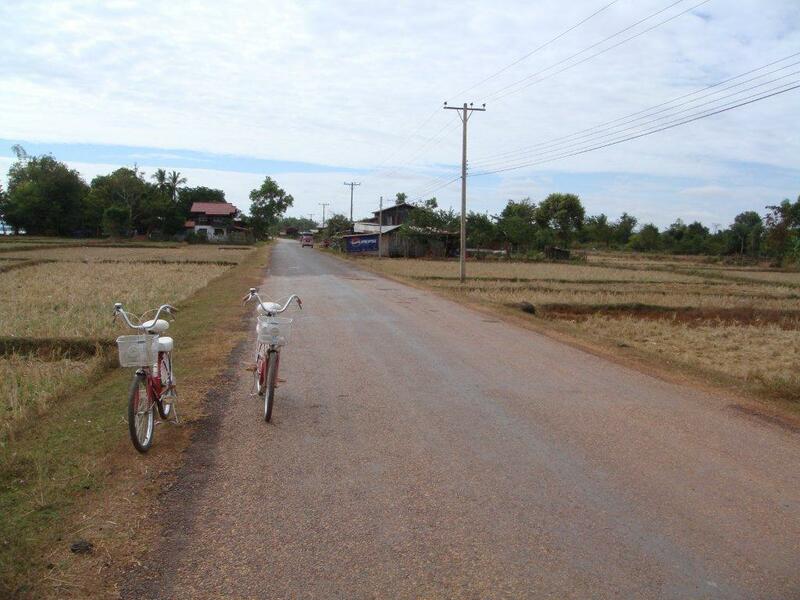 On day one we realised that the motto here, as in much of South-East Asia, was ‘have bicycle will travel’. The hotel manager couldn’t have been more accommodating - within moments of asking, he had procured us two adorable red bicycles, each adorned with a white basket. Admittedly, these suited me more than my 6’ 2” partner, whose keenness to get me on a bike for the first time in living memory waned slightly when he realised there was no macho cycle on its way for him, but he bravely jumped on what looked suspiciously like my childhood Raleigh Candy, and we pootled off, along the dusty ochre street. I was surprised to find that the proverb did hold true: it was as easy as riding a bike! We cycled along the straight traffic-free road, over a couple of small bridges, to the ruins of Wat Phou, a more intimate, early and small scale Angkor Wat, unrestored and crumbling, but utterly bewitching. This idyllic first timer’s cycle ride, took us past water buffalo, temples and children playing in the village (shouting ‘sawadee’ as we passed them); with misty mountains and the snaking Mekong alongside us, it was the perfect place to learn what I now consider one of life’s most important lessons: that the world looks better from a bicycle. I now adore the sense of freedom I get from my bike and I’m not sure if it was this dream-like re-introduction to cycling that fixed it in my passions to this day but it was an experience that neither I, nor my inner child will ever forget, and one I urge you to consider. Follow Jaillan on more of her adventures via twitter @savoirthere. Your Flight Centre consultant can arrange a special air pass along with International flights to take you to these destinations as part of a cheaper package. Call 0208 045 4186 for more details.